WAFFLES: You spike. SPEAK. I mean spoke. KATIE: Waffles! Aren't you listening??? WAFFLES: Oh, yeah. Sorry, Grampa. KATIE: Waffles? The script. Just follow the script. WAFFLES: Um, so the Boss and I are thinking that you've all been having fun taking TV Trips with us backwards in time to when TV was...Boss? TV was really strange back then. I mean, don't get me wrong, but you look kinda scary-weird. What's that on your forehead anyway? KATIE: Waffles, have you looked in the mirror lately? WAFFLES: *SCREAM!!!! * BOSS???? Who's this Eddie person and why's he dressed like a girl??? KATIE: Waffles, you've got much bigger problems than that peter pan collar. Can you say... EYEBROWS??? We hope you enjoyed the latest in our brand new blog series, TV TRIPS. Each week we'll be featuring another classic TV show picked by YOU. 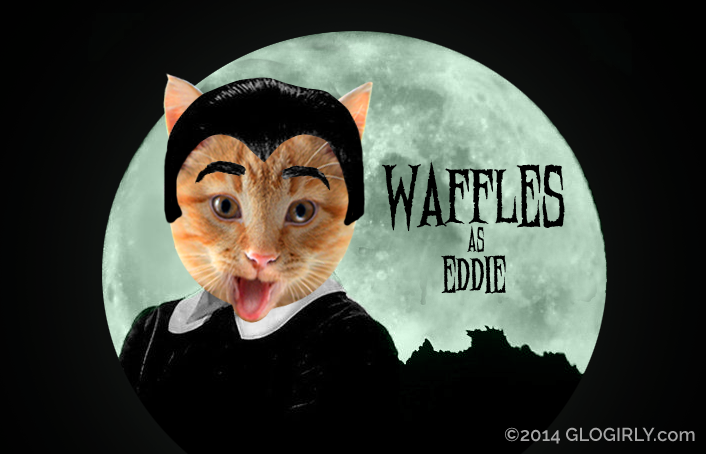 We use Adobe's Illustrator & Photoshop for all of our Caturday Art Tricks. Of course the theme is courtesy of Glogirly, who's an expert on cheesy, vintage television. Visit the Caturday Art Blog Hop for more creative and clever cats. 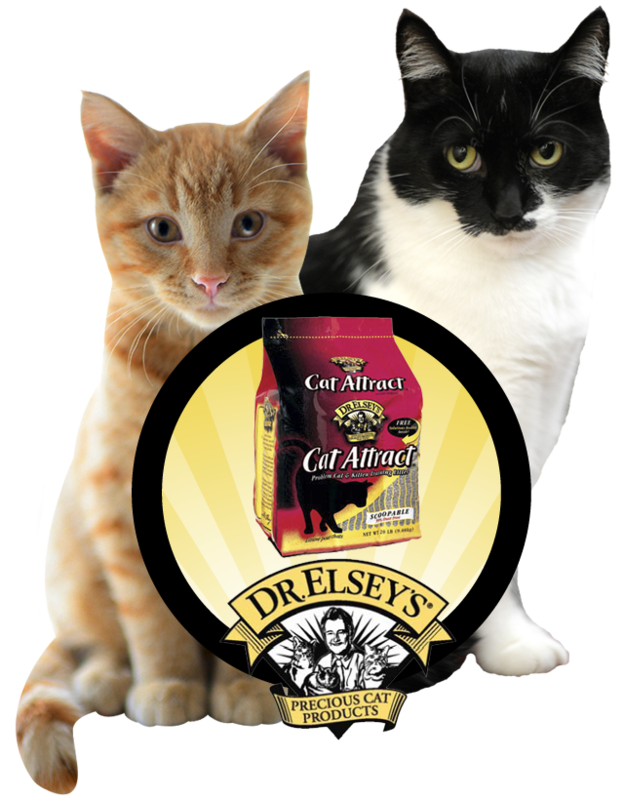 We just tried out a new (to us) litter and want to tell you all about it! ...plus, give you a chance at winning 20 whole pounds of the good stuff. OMC I am dying here!!! Best. One. Yet. I want the last picture on a tshirt! Oh what fun! We agree, dem is some brows! Happy Caturday to Granpa and Eddie! You have fulfilled Mommy's EVERY. DREAM. EVAR. Yay, love TV trips! Love vintage! Now are they just vintage or what? You know, you need to do the Addams Family now too! Wow! What a trip back!!! Disturbingly realistic portrayals, great job and so funny! Fantastic! We love TV Trips!!! Well, this sure is fun!! Another wonderful trip down memory lane!! Purrs from the Zee and Zoey Gang! Oh, the hair... and the EYEBROWS! We are MOL over here. Well purrsonally we thinks Katie should have been the raven haired beauty Morticia. hahahahahaha!!!!!!! You guys look great!!!!!!! Excuse me for laughing but Eddie Catster is hilarious! Thanks for the flashback! I'm thinking Beverly Hillbillies sometime soon! This is one of the funniest things I've seen in a while! And I needed it. OMG that is SCARY! Once again m is laughing her fool head off. Ha roo roo roo! Oh, you two look AWESOME! I can't wait to see what you come up with next!!! Mom says she went to school with a guy who looked like that. OMC! Now that's scary! In a funny way! 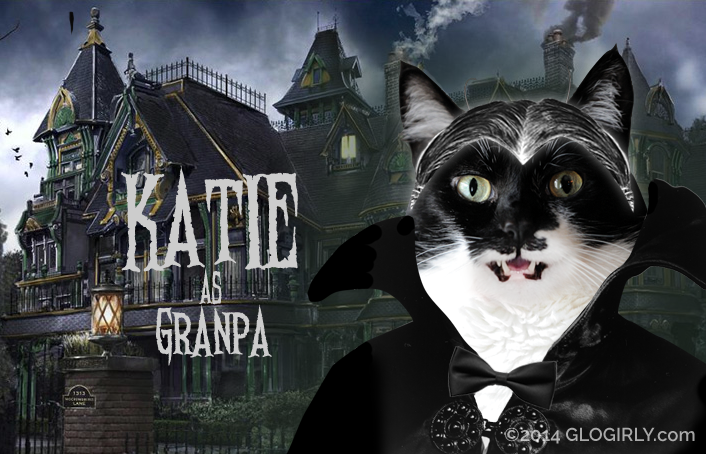 Katie, I hate to say it but you look GREAT as Grampa. TW used to see him all the time down in Greenwich Village. I can’t believe TW never watched this show either. Sigh! BTW, that’s a great get-up for Halloween. LOL that was great! Love these. Have a great weekend. Now that is pretty cool! But Katie, mes had yous pegged as being more like Mrs Munster and Waffles as Thing!!! That was one of my favourite shows. Hysterical! You sure do make a great Grandpa and Eddie, Katie and Waff! OMG I was unplugged all weekend and didn't see this til now!!! Grandpa munster (Katie) and Eddie (Waffles!!) I am dying!!!!!!!!!!!!!!!!!!!!!!!!!!! LOVE IT!